Dr Biggar is Australia’s leading expert on the economics of wholesale electricity markets and the economics of public utility regulation. Since 2002 he has provided economic advice primarily to the Australian Energy Regulator and the Australian Competition and Consumer Commission. He has also provided advice to other government agencies including the Australian Energy Markets Operator, the Australian Energy Markets Commission, and the New Zealand Electricity Authority. He has published a number of papers in academic journals in the economics of electricity markets and the economics of public utility regulation and regularly provides training courses in these areas to government agencies and industry. He has a particular interest in the assessment of market power in wholesale electricity markets and in matters related to wholesale market design. Dr Hesamzadeh is assistant professor in electric power systems division of the school of electrical engineering at KTH Royal Institute of Technology in Stockholm, Sweden. 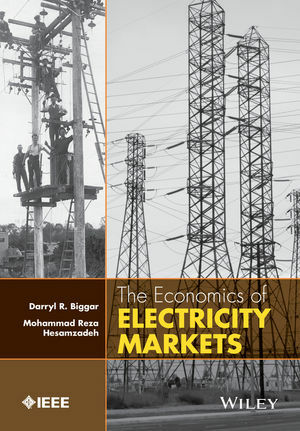 Dr Hesamzadeh is a world leader in the modelling of market power in wholesale electricity markets, particularly in the context of transmission planning. His special fields of interests include Power Systems Planning and Design, Economics of Wholesale Electricity Markets, and Mathematical Modelling and Computing. Hesamzadeh is currently working towards his Docent degree in Electricity Markets at KTH.